To provide a high-level choral experience for children and youth aged six through university age. To provide an education in vocal technique, music theory and sight-singing in a recreational setting. To add to the wealth of high-level performances in Toronto which will appeal to both the performers and the audience. 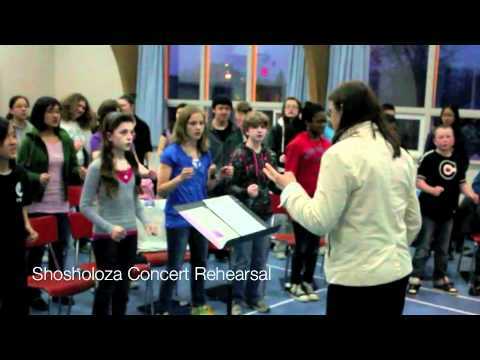 Bach Children's Chorus is known widely and highly respected as an organization for its innovative programming for young singers, its education system, and the clear, lovely sound of its singers. The awards that the organization has received in both the Toronto Kiwanis Festival and the Canadian Federation of Music Festivals have given it a high profile. Through its education practices, BCC is setting a standard of musical literacy and education for community choirs. Bach Children’s Chorus is an auditioned choir of 200 singers, founded in 1987 by Artistic Director Linda Beaupré, an award-winning Toronto conductor and clinician. BCC has four choirs -- three treble choirs for ages 6–16 and an SATB choir for boys with changed voices and girls aged 16 and up. All treble choirs rehearse weekly in east Scarborough, perform as a Company-in-Residence at the Toronto Centre for the Arts, and appear regularly at Toronto events. Each choir participates in weekend festivals, workshops and concerts with other youth choirs and world-renowned clinicians. BCC has released six CDs and has won provincial and national awards.